Fourteen engineering students from Northumbria University, Newcastle, have enjoyed a VIP behind-the-scenes visit to Gatwick Airport to learn how Britain’s second largest airport operates. 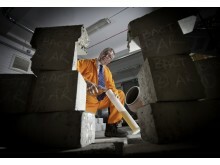 The visit was arranged by Stewart Wingate, the Chief Executive Officer of Gatwick, who graduated from Northumbria in 1994 and continues to support his alma mater. 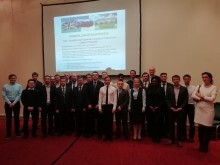 New research collaborations have been established between UK and Russian Universities which could see a new generation of low-carbon engines developed – potentially reducing the environmental impact of air and automotive travel in the future. 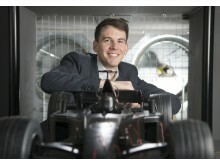 Nick Martin, Senior Lecturer in Aerodynamics at Northumbria University, Newcastle, looks at how artificial intelligence could use lessons from nature to help drones ride air currents and stay in the air for longer. 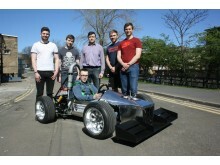 Visitors to this year’s NE1 Newcastle Motor Show on the weekend of Saturday 4 and Sunday 5 August will be given a glimpse into the future of automotive technology as Northumbria University unveils an electric racing car built by its students.